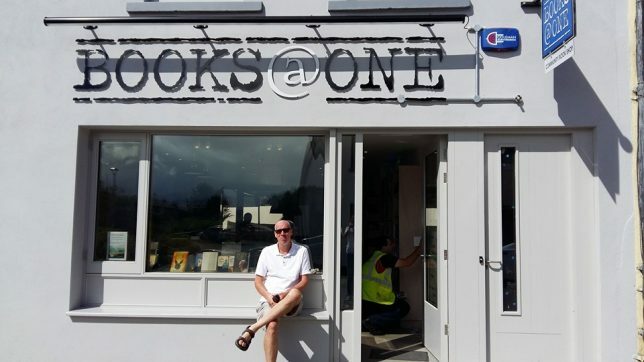 Since opening in Louisburgh, Co Mayo, Ireland in August 2016, Books@One has become a community staple — a “destination bookshop” where locals and travellers alike can browse new and secondhand books, meet fellow book lovers, and enjoy coffee and conversation. The Books@One owners Brid Conroy and Neil Paul have garnered press attention on national radio and television, and we’re proud to say that they trust Vend to manage their day-to-day operations. We spoke with Brid and Neil to learn more about their community bookshop and how they use Vend to save time and make their lives easier. Read the interview below! Tell us a bit about how you got started. What’s Books@One all about? Books@One is a community bookshop, the brainchild of One Foundation, and part of a new movement of “destination bookshops.” Here, we don’t just sell you a book: we’re a place to visit and become immersed in, a place where you can participate in community events, find out what’s going on in the area and the world, or just relax and enjoy a coffee, a browse, and a chat. We’re creating an atmosphere where people engage with books in a communal way again. 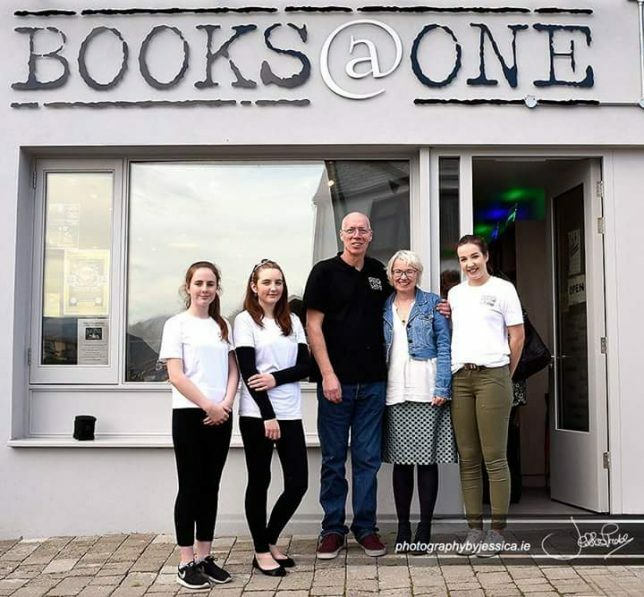 It’s also a social enterprise — meaning that any profits go right back into making the experience at Books@One an even better one and benefitting the community as a whole by promoting literature and the arts, encouraging social inclusion, and partaking in rural regeneration. Our passion is books, and we want to recreate the way people used to love and treasure them. As a community bookshop, we aspire to promote reading to kids and anyone else interested in books — and for all visitors to enjoy the store. Imagine a novel featuring an eclectic mix of characters like no other ever brought together. Here at Books@One, we’re privileged to interact with the wonderful variety of individuals who make up the local community. Louisburgh is home to generations of families who have their deepest roots in this historic, beautiful, and at times dramatic location — in whom the history of the area is not just passed down by words spoken and written. It’s genetic. The community is comprised of locals who felt no need to go further than geographically necessary (to quote one such wonderful character who, upon being complimented by a visitor on the beautiful view of Clare Island from his doorstep and asked if he’d been across to it, replied, “Sure why would I? Can’t I see it from here?”); those who ventured forth to experience other counties and countries and yet return either frequently or permanently (such is the draw of the place); those who’ve decided to transplant themselves to this beguiling part of Ireland from all walks of life (archaeologists to farmers to journalists and everything in between) and all parts of the globe (Chile, America, Australia); short-term seasonal visitors; and those who migrate to the area as often as their “other” lives allow. It’s an incredibly creative and sociable community with an indecent amount of botanical, literary, artistic, and musical talent, all holding one thing in common — an appreciation of where we are, as well as a feeling of belonging to a characterful and kind-hearted community. We were looking for a system designed for a small retail outlet that’d still have the capability to integrate inventory management, checkout, reporting, accounting, and ecommerce. Vend itself was recommended to us by another retailer in Westport town who’d been reviewing the system himself. Initially, we were very impressed initially by Vend’s system and the great customer service, which has continued since then. 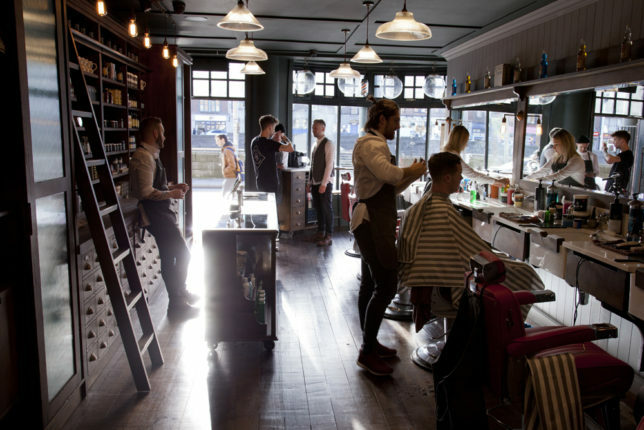 We’d definitely recommend Vend to other retailers. It’s a very simple and effective system, particularly for a new startup like ourselves. 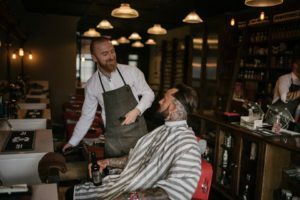 Building a relationship with the staff has been easy, as they’re just like an extension of our own business — friendly and very helpful. I don’t have a retail background, and I’m using Vend like a dream! It took a lot of pain out of our initial setup, and it can grow at the same pace as we do. It’s easy to use and therefore easy to quickly train up new staff members. Do you use any other cloud-based tools along with Vend? How has moving to the cloud helped your business? We use Xero for accounting, and both systems interact beautifully with each other. Being able to sign in from home helps us keep on top of everything; we’re a small business with big ideas and need to make the most of every resource — especially time! We sell both secondhand and new titles, as well as notebooks, cards, t-shirts, and so on, so it’s really important to keep complete track of stock. Running a bookshop requires a fine balance of ensuring we’ve enough stock to meet demand and not buying in (cash flow is crucial) or holding on to too much stock (space is at a premium in our cozy and quirky shop!). Vend helps us do this. The easy-to-produce and simple-to-understand reports help us get a real-time snapshot of our stock situation, which means we keep levels as we want them. The process of adding stock is also fast and easy, which takes the pain out of things. 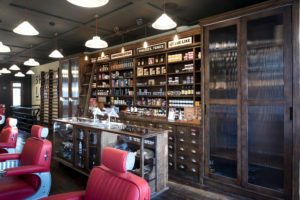 What’s the best thing about using iPads in your store as opposed to a traditional cash register? There’s so much more flexibility with an iPad. Apart from being portable (which is a huge bonus), you can search the internet and dip in and out of other systems as required. One gadget, many applications! I love books. I love people. I love the energy and imagination of our youth. I love being a part of this great community. I love coffee. I love to chat. What’s not to be passionate about? I was in the back room (our children’s area for storytelling, etc. ), lifting a box to the top shelf whilst standing on a ladder. Out of probably 100 books in that area, one fell down — so I picked it up and walked into the main shop, putting it on a shelf. No more than 10 minutes later, a young lad came in looking for The Boy in the Striped Pyjamas — the very same book! Follow Books@One on Facebook, and make sure to visit if you’re in the area. The post Vender of the Week: Books@One appeared first on Vend Retail Blog.